Bellator MMA opened to rather disappointing TV ratings for its Sept. 7 Season 9 opener, but bounced back with significant gains with Friday night’s Bellator 99. Bellator 99 marked the promotion’s move to its regular Season 9 timeslot of Friday night at 9 p.m. ET on Spike TV, and fans seemed to notice. Of course, unlike the season premier, Bellator 99 didn't have to compete with the likes of NASCAR and a Saturday slate of college football. The show drew an audience of 660,000 viewers, a 51-percent increase over the 437,000 viewers for Bellator 98. The promotion also saw a significant jump in its peak audience. 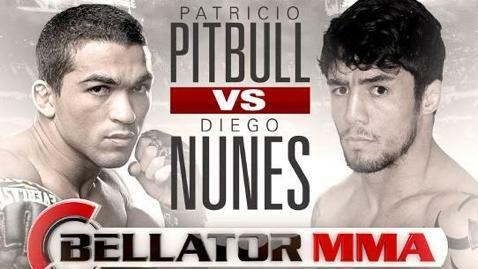 The Bellator 99 main event bout between Patricio “Pitbull” Freire and Diego Nunes hit a high point of 809,000 viewers in the final quarter hour of the broadcast. The previous week’s peak was 595,000 during the Alexander Shlemenko vs. Brett Cooper bout. The numbers are still below those of Bellator’s inaugural season – Season 8 – on Spike, which ranged from a low point of 713,000 viewers to a high of 938,000. The increase is definitely a step in the right direction though. Bellator will look to keep the momentum building with Friday night’s Bellator 100, which features the opening round of the Season 9 welterweight tournament. It is headlined, however, by the Season 8 welterweight tournament final between Douglas Lima and Ben Saunders.